On the farm Kircherhof near Bressanone, the Prosch family welcomes you to an exciting vacation at their historic farm. 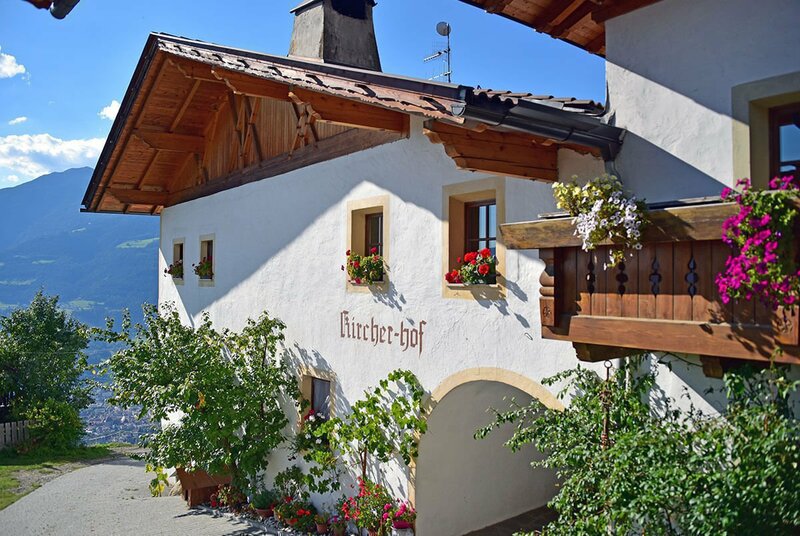 The Kircherhof near Bressanone is a listed farmhouse – it offers the best conditions for a varied holiday thanks to its idyllic location in the small South Tyrolean mountain village of San Leonardo. 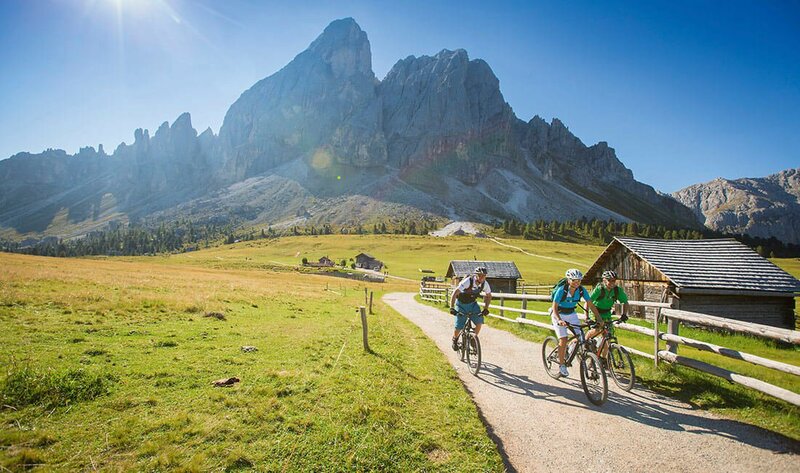 The farm is a perfect starting point for excursions into the mountains of South Tyrol, and is an oasis of peace after an exciting day hiking or skiing. 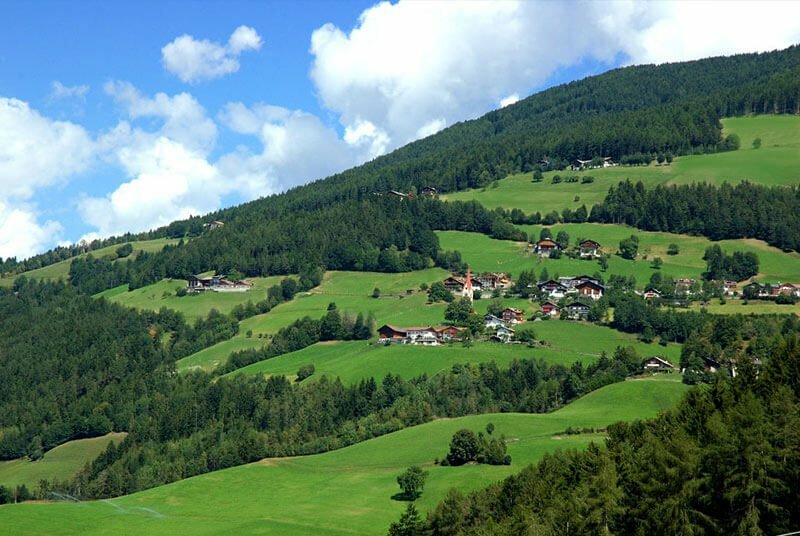 On the farm Kircherhof you will discover everyday farm life in South Tyrol, and you may even help with the daily work on the farm. Since 2018, we manage our farm following natural biological guidelines. Our cows enjoy plenty of space and eat the best feed. Every day they receive fresh organic quality products. 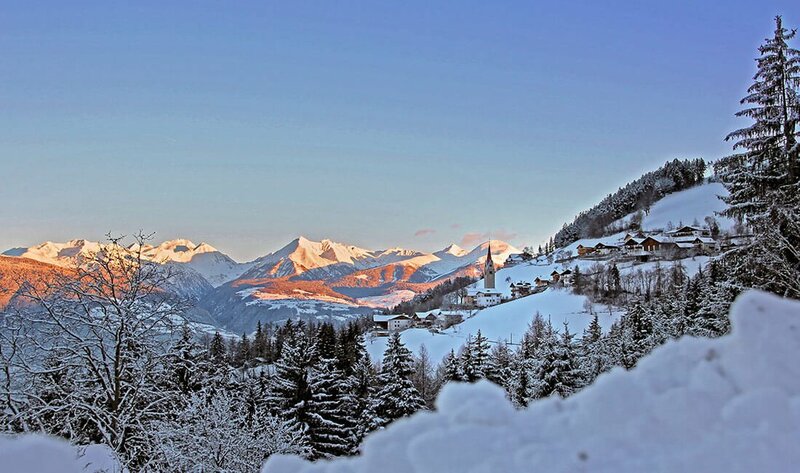 In the rural setting of San Leonardo, you may spend relaxing hours in your comfortable holiday apartment. Five accommodations are available to choose from on the farm Kircherhof. The spacious holiday apartments have modern bathrooms with shower, toilet and bidet. A fully equipped kitchen with sitting area is available, as well as a separate bedroom. 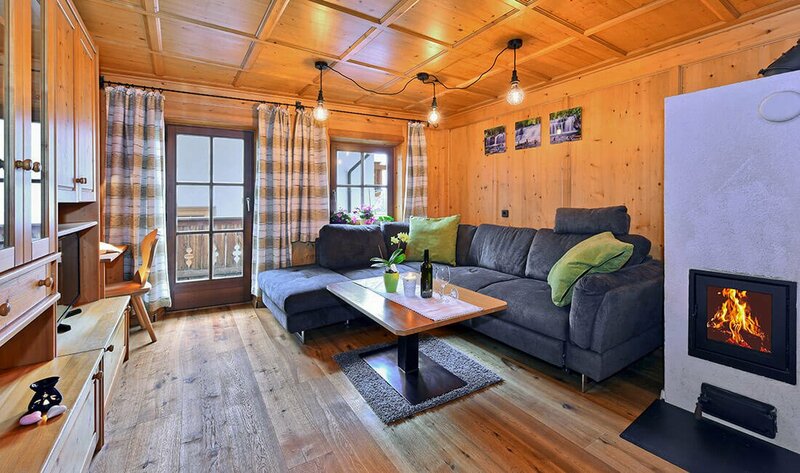 On the farm Kircherhof you’ll find apartments of different sizes, where 2-7 persons will have plenty of space. The accommodations are suitable for a romantic farm holiday for couples, as well as for a fun-filled family vacation on a farm near Bressanone. The historical farm Kircherhof looks back on a long history. Centuries ago it served as a legal court, and today you can still visit the former prison on the farm. In addition, you have the opportunity to admire the well-preserved historic windmills on the farmyard. During your farm holidays near Bressanone, you will discover the rural life in all its details. Besides cows and pigs, also chickens, rabbits, a cat and a dog live on the farm Kircherhof. Especially for the youngest guests there are new discoveries every day. The kids can help collecting the eggs, pet the rabbits and watch the farmers cleaning the stables. In the evenings you may use the barbecue grill for fun gatherings, while during the day the kids can play on the playground to their heart’s content. 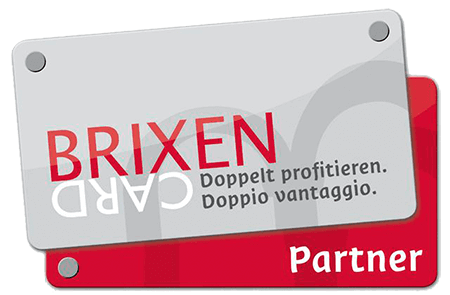 The new BrixenCard – save twice, enjoy twice, experience twice! The listed farm Kircherhof is located in the idyllic mountain village of San Leonardo, right above the ancient Episcopal city of Bressanone. 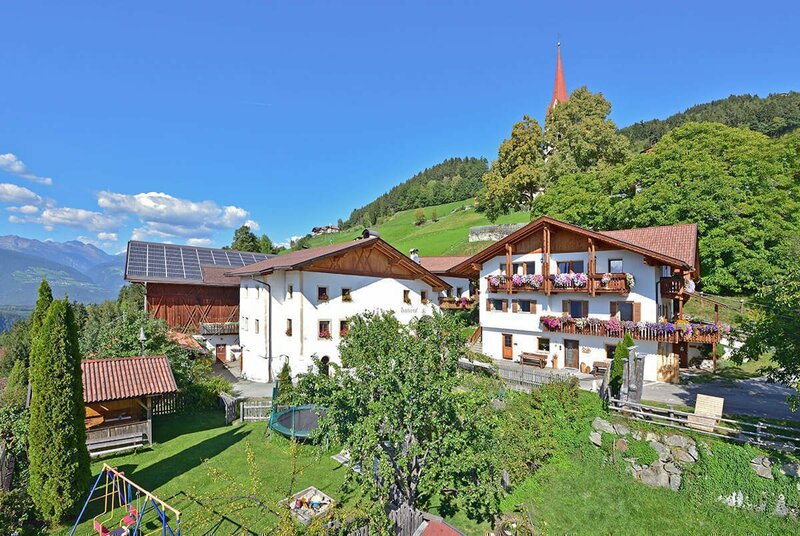 Behind the thick walls of the historic building you may spend a relaxing farm holiday in Bressanone/South Tyrol on the sunny southern side of the Alps. The first written mention of the farm Kircherhof dates back to the year 1405. The marked location of the farm in the late Middle Ages made it a so-called chalk fireplace. Formerly, in these places a fire was lit for notification purposes and for warnings in times of war. Later, the building was used as a legal court and had its own prison. 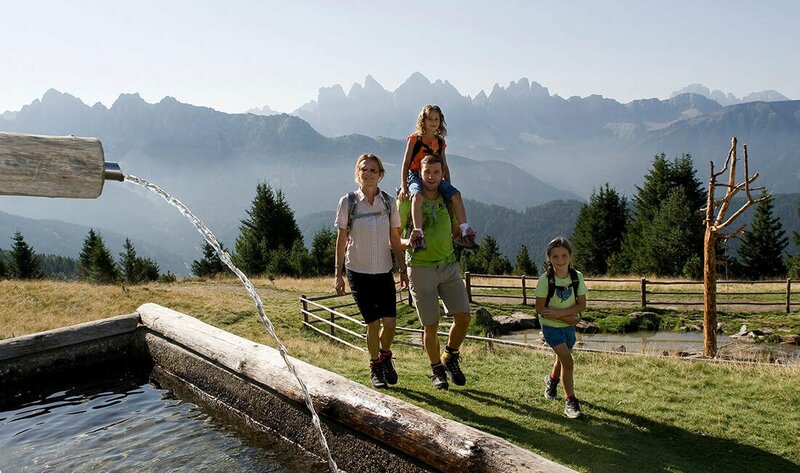 On this historic ground, the Prosch family invites you to an incomparable vacation before high alpine scenery. During your holidays on the farm Kircherhof you will have the opportunity to experience the rural life in all its facets. On the typical South Tyrolean farm near Bressanone there are many animals. Cows, pigs, chickens and rabbits live on the farm Kircherhof. Furthermore, a cat and a farm dog call the rural environment their home. 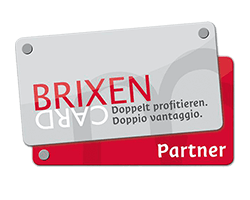 During your farm holiday in Bressanone/South Tyrol you will discover the real farm life, and – if you wish – you may even lend a hand, helping your hosts with their daily chores. Milk, eggs and jams are home-made on the farm Kircherhof – every morning you will be able to enjoy these delicious farm products. Discover the long and storied past of the farm Kircherhof on a stroll through the historically meaningful rooms and places on the farm. The Prosch family will be happy to introduce you to the secrets of the centuries-old settlement site. Together with your hosts you can visit the former prison, where people who could not pay their taxes were held. The historic mills on the farm Kircherhof were in operation until the late 20th century and allow a deep insight into the history of milling in South Tyrol.